Isn't Wonder Woman wonderful? 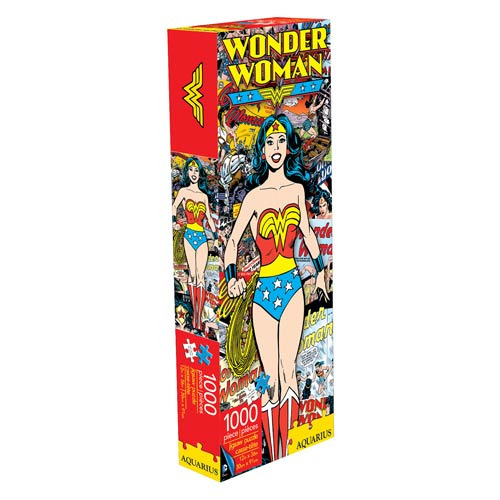 In glorious classic comic book style, the Amazon princess is ready for you to assemble in this colorful Wonder Woman Retro 1,000-Piece Slim Puzzle. When completed, it measures 36-inches tall x 12-inches wide. Ages 14 and up.